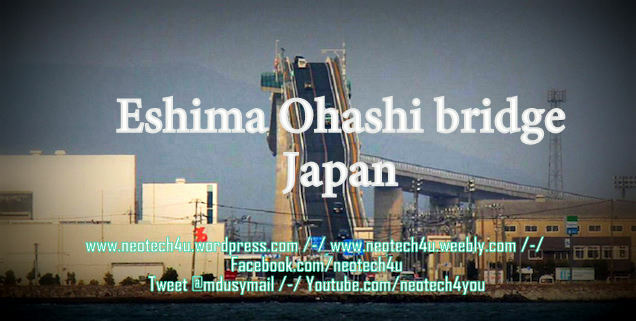 Eshima Ohashi bridge,Japan is one of the wonder of Civil Engineering. As we see lot of construction all over the world, include skyscrapers, normal decorative building,bridges, under ground tunnel and even artificial Island in Dubai (Palm Island). Eshima Ohashi bridge is on of it`s kind. Not only it looks beautiful but also feel scary by seeing this. 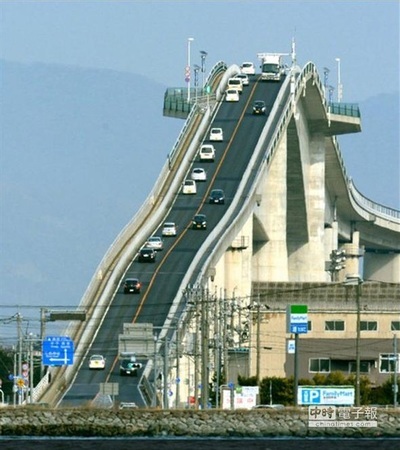 If you see this bridge you won`t go for ride in it. 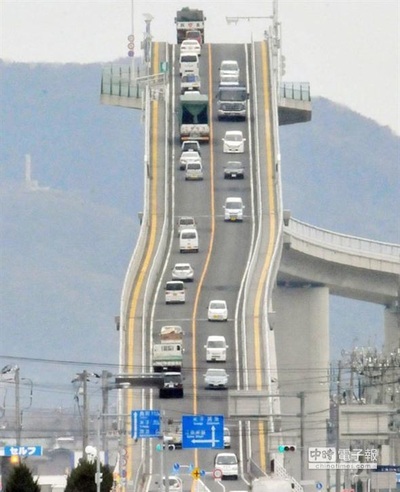 The ridiculously steep incline makes it look more like a roller coaster than a road for cars to drive on.This is so vertiginous that ships can pass underneath it. It looks as though it should serve as a speed ramp connecting Mario Circuit with Rainbow Road, but in fact connects the cities of Matsue and Sakaiminato, spanning a mile across Lake Nakaumi.